Xuanzang asks where the Buddha’s Law of the Great Vehicle is and Guanyin answers that it is in the Thunder Monastery in the land of India in the West, where the Buddha lives. The Emperor then asks those present in the monastery, “Who is willing to accept our commission to go to the Western Heaven to visit the Buddha and fetch the scriptures?” Before he has finished his question, the Master of the Law comes forward, bows low in greeting, and says, “Although I am lacking in ability, I would like to offer my humble efforts to fetch the true scriptures for Your Majesty and thus ensure the eternal security of your empire.” The Tang Emperor, who is overjoyed to hear this, goes forward to raise him to his feet. “Master,” he says, “if you are prepared to exert your loyalty and wisdom to the full, not fearing the length of the journey or the rivers and mountains you will have to cross, I shall make you my own sworn brother.” Xuanzang kowtows to thank him. 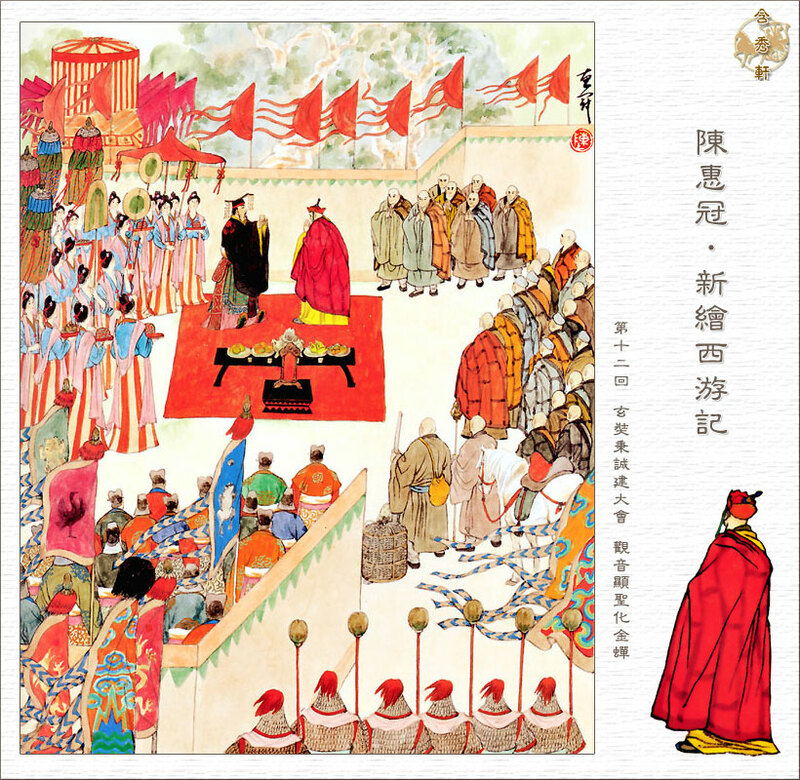 At court the next morning Taizong assembles his civil and military officials and writes out the document Xuanzang will need to fetch the scriptures, stamping it with the imperial seal that gives the right to travel freely. 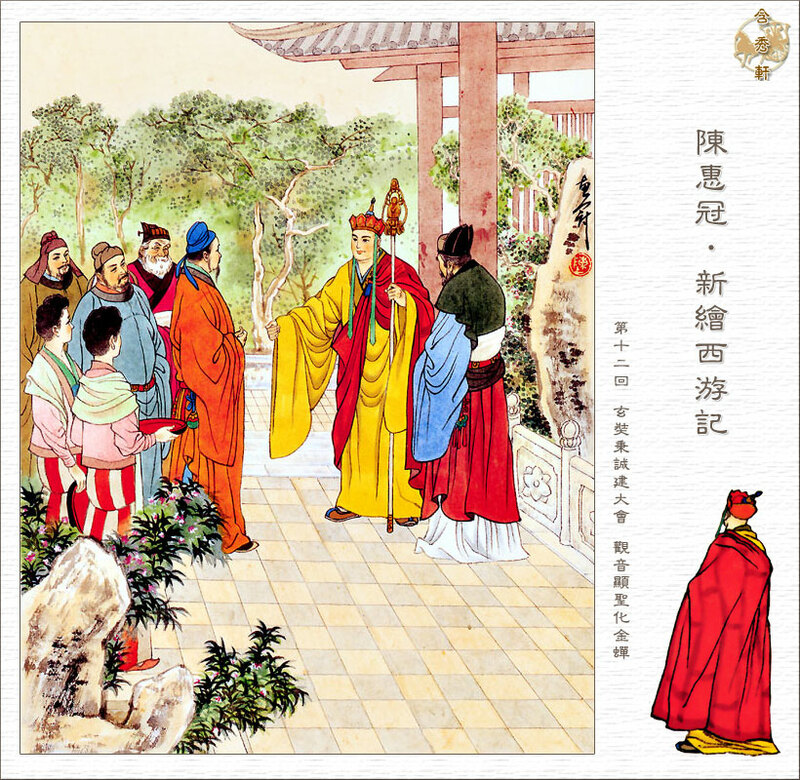 The Tang Emperor asks, “Brother, what is your courtesy name?” “As I am not of the world, I do not have one,” replies Xuanzang. “The Bodhisattva said that there are Three Stores of scriptures in the Western Heaven. You, brother, should take a courtesy name from this. What about Sanzang?” “Dear brother, when will you return from this journey to the Western Heaven?” “I shall be back in this country within three years,” Sanzang replies.